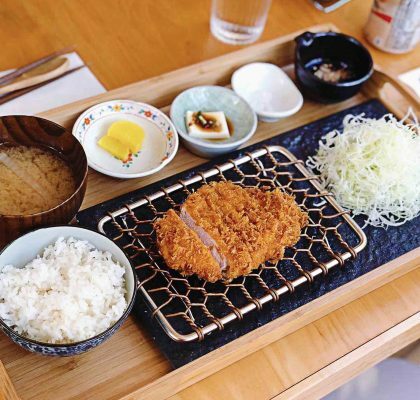 While it’s rare to find authentic Asian cuisine in Kitsilano, a relative newcomer has changed this landscape. 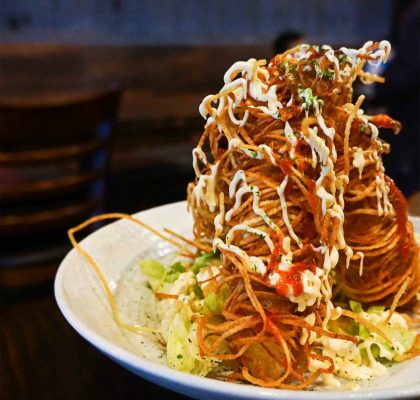 In the heart of West 4th near Cyprus, you’ll find RedBeef Noodle Kitchen. 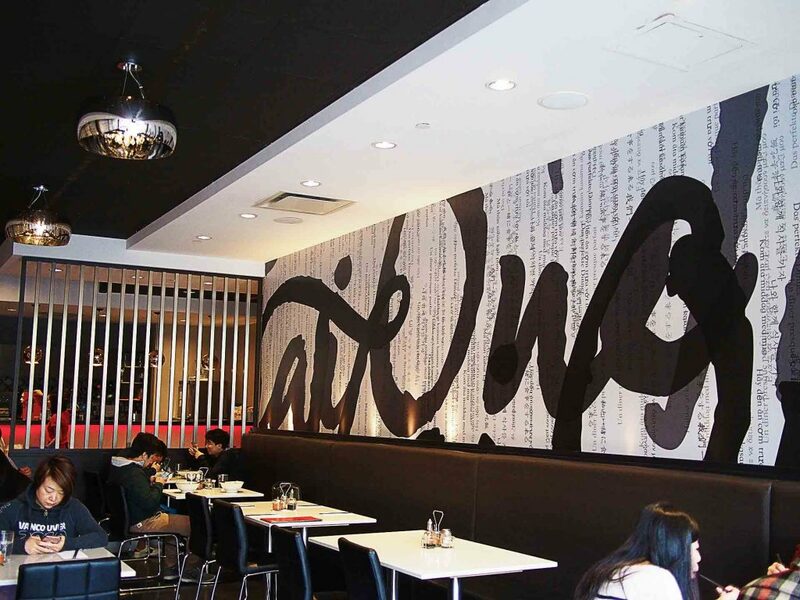 This modern, open restaurant specializes in Taiwanese beef noodles. 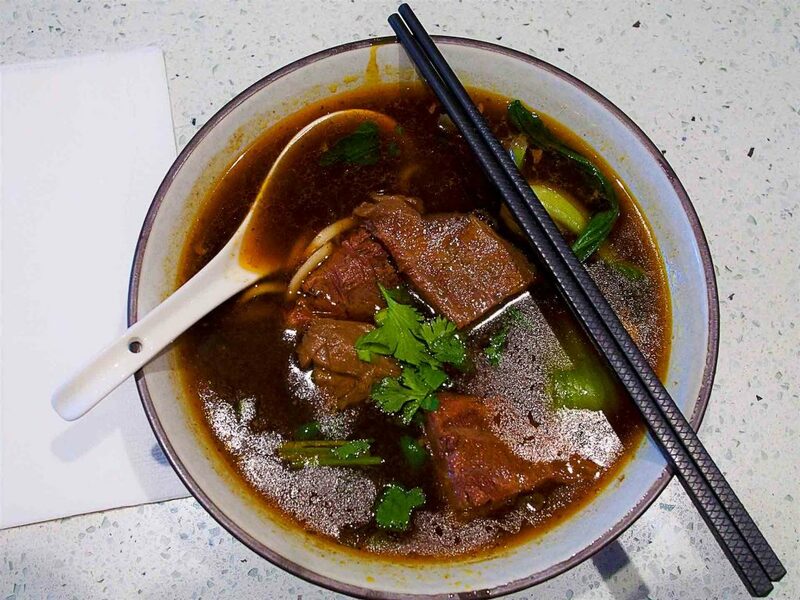 Their menu offers a range of noodle, rice, and snack options, but we ordered the Spicy Beef Noodle Soup to satisfy our noodle cravings and warm our bellies on this chilly Vancouver day. 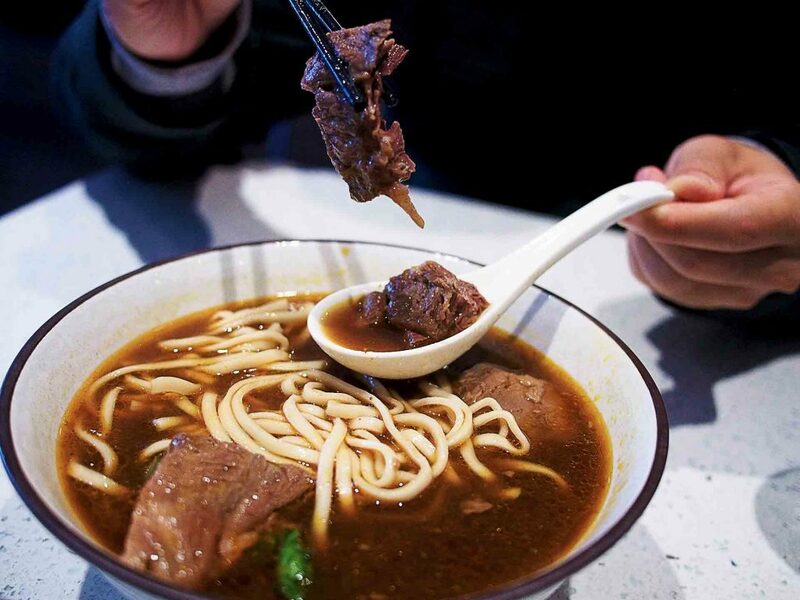 Our bowls of Spicy Beef Noodle Soup arrived with generous portions of beef flank chunks and noodles. The beef broth gave off a savoury aroma, and we began to salivate. As we took a sip of the broth, we were immediately blown away by its taste. The flavours came in several waves. First, a rich, beefy flavour emerged from the broth. This was followed by a wave of tomato-ey sweetness that brought balance to our palates. Finally, the heat from the spices and chili oils completed this complex flavour experience. We could tell that the chefs put their blood and sweat (not literally!) into making this broth. 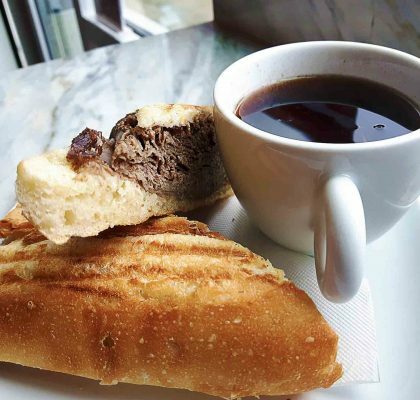 After all, they boil their broths from beef bones and spices for 12 hours – yes, 12 hours! Next, we sampled the beef. Soft and tender, it melted in our mouths. In fact, each time we chewed, the layers of beef separated from the jelly-like tendons. We could taste and feel the layers of the beef, and the tendons that kept the layers of beef together melted with each bite. In contrast to the beef, the noodles were cooked al dente, giving them a nice chewy texture. Coated with the rich broth, the noodles brought back waves of flavour from the broth each time we slurped. 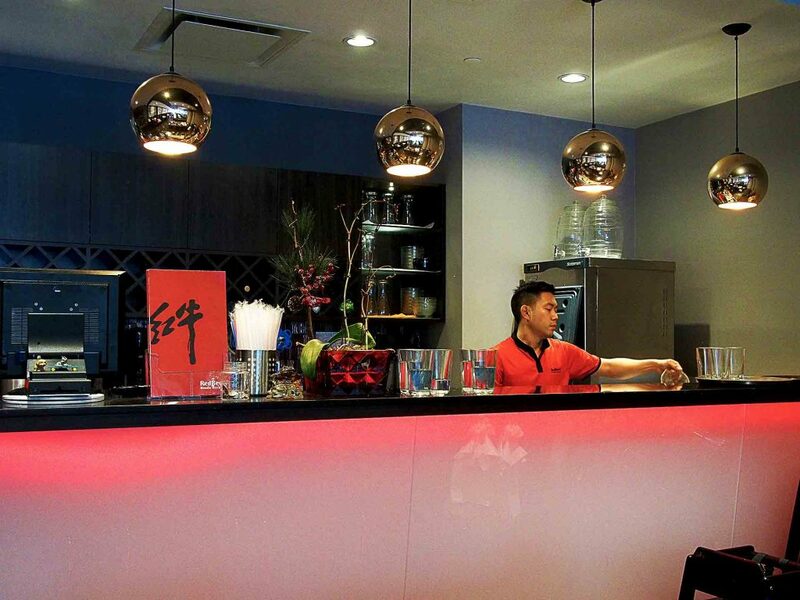 RedBeef Noodle Kitchen didn’t only impress us with its Spicy Beef Noodle Soup, but also with its modern space. The restaurant was quite open, with fairly high ceilings and decorations on two walls. 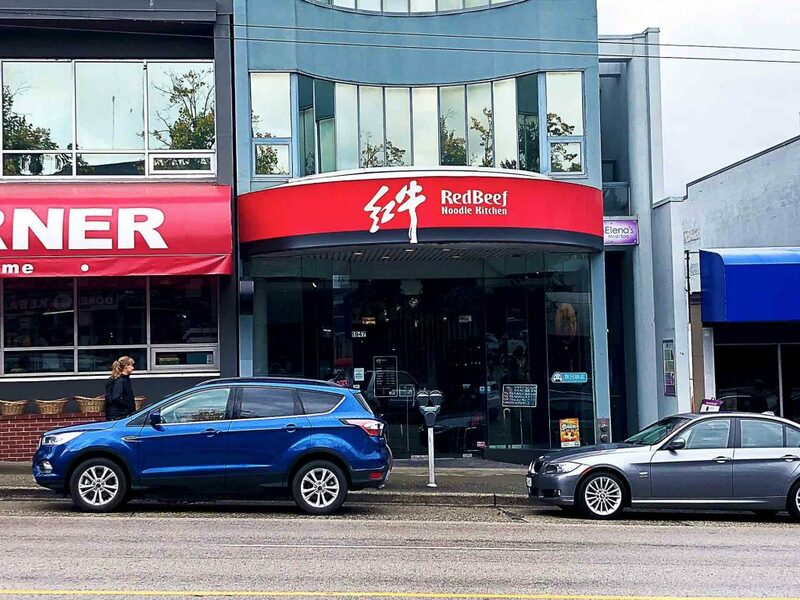 Having tried most Taiwanese beef noodle restaurants in Vancouver, we found a new favourite after trying RedBeef. This hidden gem surprised us, and we’ll surely be back.